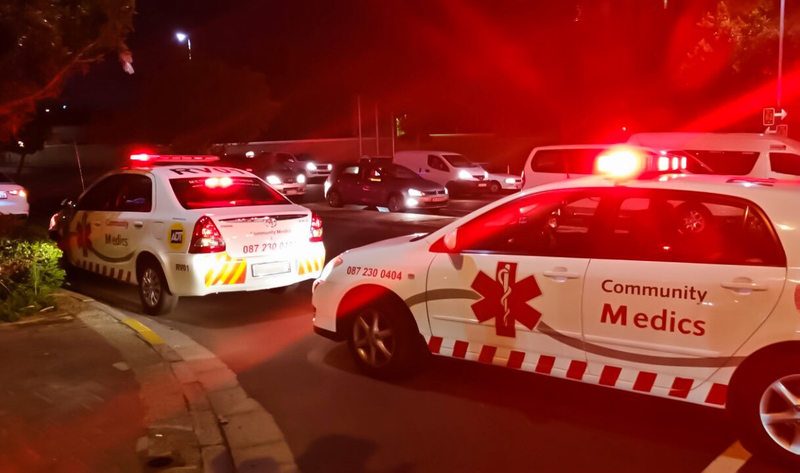 While on duty on Friday evening, Community Medics came across a gentleman who had been hit by a car on the corner of Buitengracht and Sommerset road. The medics on duty noticed the risks at hand and positioned their vehicles in order to protect the patient from oncoming traffic. The patient had suffered injuries to his foot which required further treatment in hospital by specialists. Community Medics and ER24 treated and transported him to hospital. Thank you to Green Point CID, City of Cape Town Traffic department as well as ER24 for their assistance on scene.